• Normal functioning of the immune system (1, 2, 3). • The normal formation of collagen for normal functioning of the skin, the first barrier. • physics that protects us from external aggressions (1). • Normal maintenance as respiratory mucosa (nose, trachea and bronchi) (2). • Protecting cells against oxidative damage (1, 3). • Reduce fatigue and fatigue (1), sensations associated in spring or cold periods. Arguments evaluated by the EFSA (European Food Safety Authority) and authorized by the Commission. In addition, N-acetylcysteine, sulfur substance that provides a favorable framework for breathing comfort. And quercetin flavonoid found in many foods like onions. 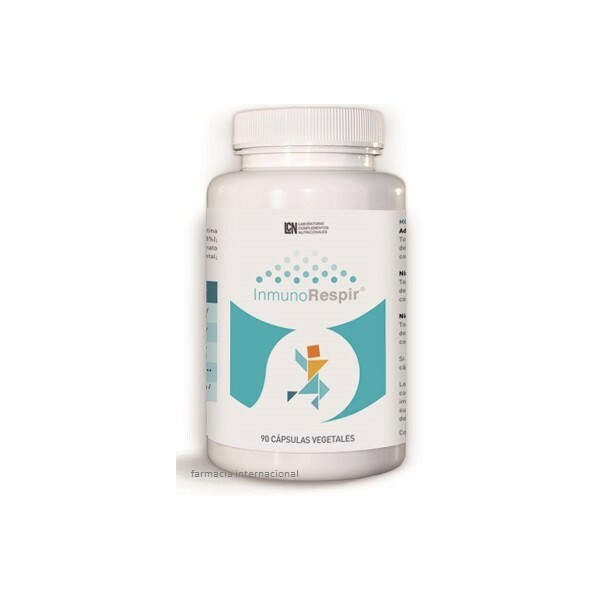 Helps develop well InmunoRespir® nutrient action. • Adults and children over 12 years: take 4 capsules daily. 2 capsules just before breakfast and 2 capsules before dinner or between meals or as the pattern indicated by a professional. • Children 8 to 12 years: Take 3 capsules daily. 2 capsules just before breakfast and 1 capsule before dinner or between meals or between meals or as the pattern indicated by a professional. • Children 4-7 years take 2 capsules daily. 1 capsule a little before breakfast and 1 capsule before dinner or between meals or between meals or as the pattern indicated by a professional. If there is difficulty swallowing, you can open the capsules and mix with liquids. Natural products and food intolerance can also occur in sensitive individuals. 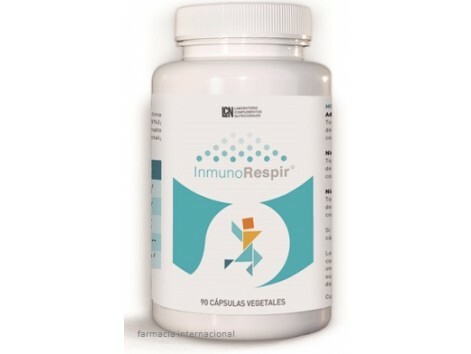 As with any product, you should not take InmunoRespir® if you have allergy or hypersensitivity to some components such as cysteine or vitamin C.
PRESENTATION: 40/90 bottles capsules 575 mg, manufactured by LCN laboratories.